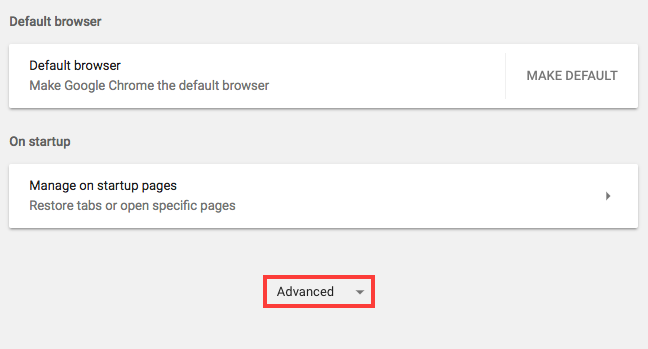 In Chrome, click on More > Settings. Scroll to the bottom of the page, then click Advanced to reveal additional settings. This option deletes cookies when you close Chrome. If you open Chrome and go back to the same site you were just at, you will need to download a new cookie. 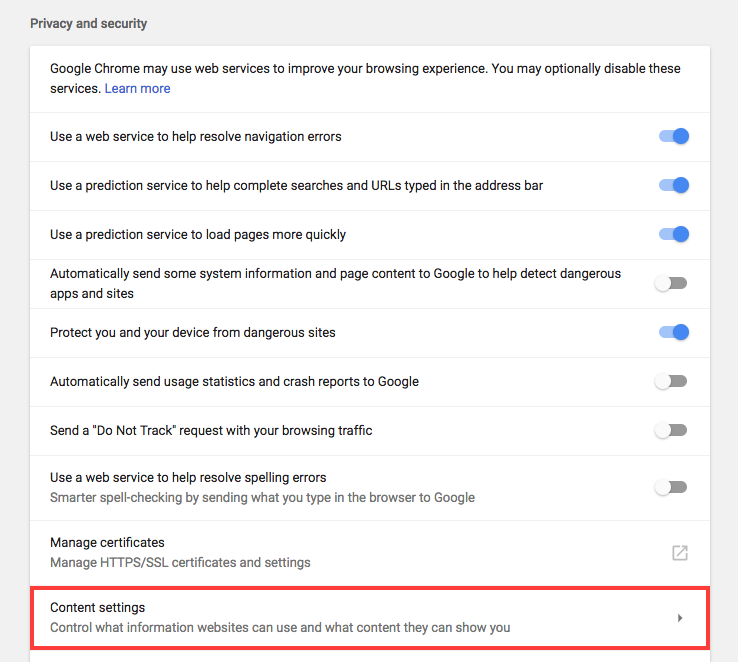 If enabled, Chrome will not accept cookies from or allow them to be read by http://site2.com when you are visiting http://site1.com. If you are accepting some cookies, this allows you to add exceptions for websites and domains whose cookies you wish to block. If you are not clearing all local data when quitting Chrome, this allows you to add exceptions for websites and domains whose cookies you do not wish to store. If you are blocking some cookies, this allows you to add exceptions for websites and domains whose cookies you wish to allow. Lists all of the sites for which Chrome is currently storing cookies. You can remove all cookies stored in Chrome, all cookies for a particular site, or individual cookies.